A burgeoning arms industry brings the war home. In Bahrain, it took an asthmatic man’s life. Bahrain bought it from South Korea, where it’s been used on dissidents for decades. In Egypt, it choked 37 men to death in the back of a police truck. Egypt got it from the USA. It’s tear gas, and it’s becoming a staple of life in American prisons. Tear gas is mostly known in the United States as a “crowd control weapon” for dispersing unwanted demonstrators. Beloved of US SWAT teams and riot cops, ubiquitous in police arsenals, it played a key role in suppressing civilians during the protests of the Arab Spring. From Ferguson in 2014 to Rio de Janeiro this year, it’s become notorious for its risks and health effects: miscarriages, lung damage, blunt-force trauma, asphyxiation. So why are we using it on captives? "They threw two grenades into the cell—a cell that’s approximately 80 square feet." That’s how Mountain State Justice staff attorney Aaron Moss describes one inmate’s experience—which he saw on video—at West Virginia’s maximum-security Mount Olive Correctional Complex. Internal documents from Mount Olive, reviewed by The Nation, confirm that its head warden has declared “martial law” in parts of the facility, superseding standard use-of-force regulations by decree. His declaration authorized the use of “less-lethal” weapons, including grenade launchers, at staff discretion. The War Resisters League, through a letter-writing campaign run in its prison newsletter, obtained testimony from 18 states on the use of tear gas and pepper spray against inmates—in men’s and women’s prisons, maximum- and medium- security facilities, across the country. For unrestrained use of force on restrained inmates, Mount Olive might be the most well-documented example. “The guards have said under this protocol they are free to use chemical agents at their own discretion—5-7 people are sprayed a week,” says Fred Douty, a Mount Olive inmate, in a letter to WRL. Douty himself was sprayed on at least one occasion; he says a prison nurse diagnosed him days later with first-degree chemical burns. Martial law notwithstanding, the Mount Olive testimony points to a nationwide pattern: the use of chemical force on bound inmates, across race and gender, in a variety of prisons. Dozens of WRL’s letters describe indiscriminate or punitive applications of tear gas and pepper spray. Testimony points to a nationwide pattern: the use of chemical force on bound inmates. Mount Olive is just one of dozens of prisons nationwide turning to chemical agents for control as labor shortages, private incentives, and intense marketing drive prisons to supplement overworked guards, in overcrowded prisons, by relying directly on pain. In the United States, “tear gas” is usually an umbrella term for one of two compounds: particulate CS, an aerosolized powder that hits the body’s pain receptors directly, or oleoresin capsicum, alias “pepper spray,” an oil that causes excruciating pain on contact, especially around the eyes, nose and mouth. Both are continually being modified, tested, and retested for improvements. Thanks to thin regulations on so-called “less-lethal” weapons, that testing takes place in the dark, without public disclosure or mandatory medical oversight. That means testing doesn’t have to be oriented toward minimizing risk: It can focus on maximizing pain. At least two newer compounds incorporate silica gel for a longer-lasting and more painful presence that’s hard to get out of clothes. One lab-developed tear-gas variant is six times as reactive as the industry standard. Some 37-millimeter grenades used in prisons now mix CS gas and pepper spray for an instant, lasting burn that causes hours of swelling around orifices and nerve pain everywhere on the skin. The Geneva Conventions ban most such compounds in war, mainly on the basis that they might be mistaken for more deadly chemical weapons and lead to escalation. But during the Iraq War, Bush administration officials drafted rules of engagement that specifically authorized its use in various situations. “Most of these weapons are designed by the military,” says Dr. Rohini Haar, a medical expert with Physicians for Human Rights, “and they’re designed for military uses. But the military, especially the US military, is a limited market. So the next step for companies that are trying to make a profit off these weapons that they design is to sell them to one, law enforcement and police, and two, to prisons. The use of chemical agents on civilians and inmates is something of a free-for-all. Prisons’ ‘use of force” guidelines generally establish some limits on corrections officers’ right to use weapons against inmates. But they’re also sites of near-total impunity, where guards’ reports are granted overwhelming credibility and inmate testimony nearly none. And, as at Mount Olive, those regulations are replaced or set aside by prison wardens at will. The problems of gassing are exacerbated by prison conditions. The quickest treatments for skin and eye damage from CS gas in, say, an outdoor protest? Turn your face to the wind and walk into it; pour something like milk in your eyes; scrub the residue off with soap. None of these quick fixes—let alone medical treatment—are readily available to an inmate. Moss and fellow attorney Lydia Milnes, both on staff at Mountain State Justice, rattle off stories of daily pepper sprayings—Mount Olive, in the last two years, has quietly stopped using CS gas—administered by guards for being in a fight, or too close to one; demanding medical treatment; yelling; or getting on a CO’s bad side. West Virginia Division of Corrections staff didn’t reply to requests for comment on its use-of-force policy. How much does tear gas hurt? Dr. Haar co-authored a landmark report on the effects of what PHR calls crowd-control weapons. “Imagine if you were cutting peppers, but they were about one hundred to one thousand times as strong as the ones that you used, and then you rubbed it all over your face and skin,” she says. Private arms dealers have a problem: Business has been getting too good. Years of sales figures boosted by Homeland Security subsidies and federal equipment donations have brought contractors continually closer to saturating the law-enforcement market. In recent years, the tightly guarded conferences and expos where manufacturers hawk their goods have opened their arms to penitentiary staff. Of course, no matter the circumstances, private suppliers have an overriding incentive to encourage as much use of “less-lethal” weapons as possible, as often as possible—and to continually broaden the range of circumstances considered acceptable for their use. Combined Tactical Systems, one of the major providers of CS and OC products, promises “unparalleled performance” on the listing for their pepper-spray grenades. One of Defense Technology Corporation’s 37-millimeter CS shells—a caliber typically associated with anti-tank weapons—will cost you about $30. The DoD notes that the shells are “designed for outdoor crowd control.” Their use in prisons, notes Mountain State Justice’s Milnes, is often on prisoners confined alone, in small, nearly airtight cells. DTC’s T-16 OC grenade, which seems explicitly targeted at inmates—“The irritant fills a 10- by 20-foot room in 5 seconds”—runs $39.50 for a dose of both CS gas and pepper spray. With $26.50 you can buy 10 grams of CS gas and pepper spray, deployed in a sophisticated, multi-part grenade that can be thrown by hand or shot from a gun. Automatic “PepperBall™” rifles from Jaycor, a Chicagoland defense contractor also known variously as “United Tactical Systems” and “L3 Applied Technologies,” fire three-gram, marble-sized balls that explode into a cloud of pepper spray on impact. Despite a huge expansion of the market—more than 50 nations now produce CS and OC for export or internal use—the United States, through private industries, remains the single largest manufacturer of CS. The biggest state buyers often have checkered human-rights records: the Erdoğan administration regularly gases protesters in Turkey; Uganda’s most recent election was marked by chemical-weapons use against the opposition; Hungary’s government encourages its border guards to gas and spray refugee families. 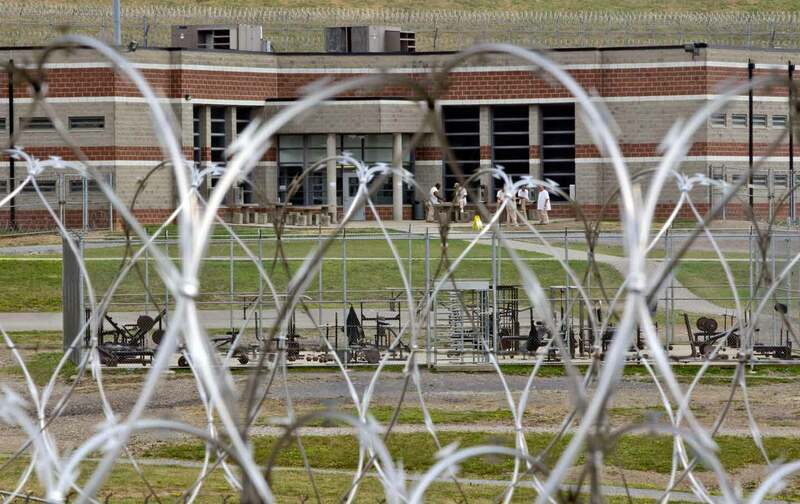 For now, inmates like those at Mount Olive have no obvious recourse. Producers of tear gas and pepper spray worry more about finding new markets than navigating the law. Even if existing restrictions on the use of force were enforced, the direct use of pain-inducing chemicals on prisoners, including inmates restrained or in solitary, is still minimally regulated and broadly legal. Update: A quote from attorney Aaron Moss detailing a cell extraction at Mount Olive Correctional Complex has been revised with corrected details. Daniel MoattarTwitter(@danielmoattar) is a Chicago-based journalist who has written and reported for The Nation, In These Times, and The Baffler.